Interviewing successful people in your niche is a great way to boost traffic to your blog. The problem is that most bloggers don’t have a clue how to properly interview someone. More often than not, the blogger fails to squeeze out any semblance of quality information so the interview is filled with fluff and the interviewee has no incentive to share the interview or even associate with you. If you want to start creating awesome interviews for your blog, you need to follow these tips. I’m guessing that more than 90% of the internet’s interviews are conducted through email. There are three problems with that. Sometimes the interviewee is bad at writing. The interviewee tends to whip through the interview as quickly as possible only contributing surface-level answers. You don’t have a chance to ask tailored follow-up questions that get them to delve deeper into the subject. An interview is only as good as the questions that you ask. If you ask boring questions, you’re going to get boring answers. And nobody has time for boring content. Did you start with a business plan? How long did it take for you to reach profitability? Walk me through the step-by-step process that you went through to get to where you are today. What was the first thing you did? Next? How long were you running the business before you started paying yourself? How did you live through those first few months/years? Do you see the difference? Smart questions draw them into a frame of mind where they able to give you their best possible advice. Once you get the interviewee on the other line, start with a few minutes of talking about where they’re from, their family, or even the weather (as cliché as it might be). This makes them feel more comfortable talking with you and they’ll open up and tell you more of their secrets. Your goal with any interview is to get the interviewee to provide the most valuable, specific advice tailored to your audience. If they’ve never read your blog (which they probably haven’t), then it’s your responsibility to tell them everything about your audience, from the age, personality type, interests, etc. Right before you start the interview, give them a roadmap of where you intend to take the interview. Tell them the questions or topics so they can structure their responses based on the information you want them to give in the order you want them to give it. Also tell them how long you the interview will take and how you are going to record and distribute the content. One of the most impolite things you can do in an interview is start it off by asking them to introduce themselves. Prior to conducting the interview, spend at least an hour learning about your interviewee. Read their about page. Look through their latest blog posts. Try to figure out what they’ve been doing lately through Twitter or Facebook. Then write a 2-3 sentence introduction that walks the reader/lister/viewer through who the interviewee is, why they’re important, and why the audience should pay attention. Plus, if you ask the interviewee to introduce themself, they’re going to do so humbly and the audience won’t get a sense of how important that person is. Another thing to keep in mind is that you want them to speak as much as possible while you speak as little as possible. One way to do this is to parrot. Pick out one or two words from something they said and ask that phrase as a question. Anytime you want them to elaborate on a thought, use that technique. The only time you should spend a little time talking is in between questions. Wrap up the question by summarizing their response. Then transition into the next question by relating it to their previous response. If you put some thought into crafting and organizing your questions, this will be easy. #9 Anything Else You Would Like to Add? It’s almost impossible to cover everything with your questions. This gives them an open door to talk about anything that they believe is important. It subconsciously tells them that the interview is about to wrap up which encourages them to summarize everything they’ve said up to that point in perhaps the most important two minutes of the interview. At the end of the interview, thank them for taking the time, remind the audience of their name, and direct people to their websites. Similar to the intro, don’t ask them to pitch their sites. Do it for them. You’ve heard the sales phrase, “Always be closing,” right? Well, I think you should also always be getting feedback. Immediately after you wrap up the interview ask them if there’s anything you could’ve done better. They’ll appreciate you asking and you’ll find out how to improve. 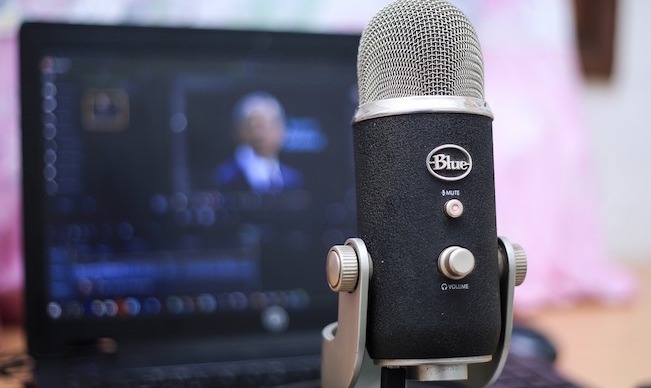 It’s a lot more work to conduct the interview live, produce their audio/video, and transcribe then edit the content, but it makes a world of difference in the quality of the interview. Let’s make the internet a better place. Below we go into a little more depth on actually questions to ask – along with our current Interview Templates plus our follow-up emails for potential interviewees. No matter if you are starting out as a blogger or you are a seasoned professional, interviewing experts is a surefire way to create valuable content for your website. 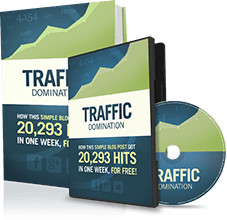 At IncomeDiary we had two main strategies to make money online when we first got started. These two winning strategies were Top Lists and Interviews. Now, almost 10 years later, these two strategies are still two of the best ways to create content readers love to read! As an example of what can be achieved – our Interview series has earned us well over 1 million visitors and counting! There’s nothing quite like getting into the head and seeing through the eyes of some of the most successful and respected individuals in your industry – learning exactly how they do it and what they overcame to get there! It is amazing what successful people will reveal if you just ask them! Not only that, conducting interviews is great for our own creative juices. The number of great ideas – often not directly related to the interview, that I have got when doing an interview blows me away! We find it takes an average of three email exchanges to get the BIG INTERVIEW. We prefer to conduct our interviews via email – simply because it is easier to edit and add to the website, plus it is most SEO Friendly. However many people will prefer to do an interview over SKYPE and that is OK too. 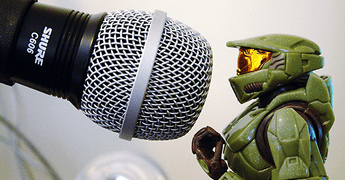 Then you have the option to publish as a Podcast – but in any case have the interview transcribed as we did in this interview. Usually you will not publish every single word from an audio recording – simply because the readability will be poor if you do. Remember these individuals are busy people – and this should be reflected in your approach. Interviewing Hack: If the name you are approaching is a big name, then chances are you will not have their personal email – in these instances, look to connect with their Executive Assistant or PR Company. Note: Most of our interviews are with successful entrepreneurs – so please replace our entrepreneur and business references with your own niche. This strategy works equally well across all niches – photography, football, interior design and home renovation to name but a few. Also, be sure to follow up with your prospects as we all know how busy successful people can be. My name is Barry Dunlop and I work for IncomeDiary.com and our network of entrepreneur related websites. At www.incomediary.com we offer, business, blogging and life advice to internet entrepreneurs. You can expect your interview to be published on this site and all of our subscribers will be notified. You have been on my wish list for a while now, and I was particularly impressed with the success you have had with WEBSITE/COMPANY. I appreciate you are very busy, but please get back to me if you would like to go ahead with this. Also, we will include links and promo material for your site – we have a combined readership of well over 100,000 readers per month on our sites. The interview can be done over email or Skype. Interviews can be done via email or a Skype call but we do prefer them to be done over email because they tend to come out better and posted sooner. We do our interviews between 9am – 9pm EST so any weekday between these times will work great. Let me know how you want to proceed, either with a preferred date/time to do a Skype call or let me know if you want to do it via email and I will send over the questions. Thanks for agreeing to do and interview, we appreciate it. I think an interview with you, will be a very worthy addition to our list of interviews. When responding can you please attach at least one preferred picture of yourself for the article along with details of the best way for readers to find out more about you and your business. First, can we have an introduction to YOU – your story so to speak. A modest introduction (ideally one paragraph) that explains why the reader would want to learn from you. I have listed some further questions below — but if there is a question you would like us to ask, that you feel would add value, please feel free to include in your responses. What inspired you to create your business and how did you motivate yourself to keep going when things were difficult? How much do you make / earn? (if you rather not answer this question, that is fine). What Book Are You Currently Reading? (Entrepreneurial, Business, Marketing, Blogging related). If you’re not currently reading a book, just name the last one you did read. 1. What inspired you to create an online business and how did you motivate yourself to keep going? 2. Comparing your business from when you started to now, what has been the main thing that allowed you to expand your business (How did you go from small time to big time success)? 3. Whats the most profitable aspect of your online business, why do you think this is and how can others apply this to what they are doing? 4. What is your work day like? (Do you wake up early, work late, communicate, what jobs do you do yourself, who do you talk to etc)? 5. When did you realize you were successful/made it. (a million visitors, most profitable day, featured in press etc) and how did you feel/celebrate? 6. Looking back, what could you of done sooner to have got to that point quicker? 7. What should other entrepreneurs reading this interview – be focusing on to expand their business (e.g. outsource, get a team, monetization, traffic generation etc)? 8. What do you consider the main differences between those people who have been successful in your industry and those who have failed? 9. What’s the best piece of business advice you’ve ever been given? 10. What’s the most common rookie mistake when it comes to starting a business? 12. What advice would you give other bloggers / entrepreneurs starting out? Some of these questions may overlap, so if you want to combine any of them that is fine. As mentioned above, please feel free to make some suggestions for questions of your own, if you wish. Naturally we reserve the right to edit replies and facts – but nothing will be published without first returning the post / interview back to you for approval. PS: Here is an example of an Interview with Todd Herman that is based on the above format. Once the article is published, contact the author to let them know the URL and thank them again. This is also a good time to ask if they have any suggestions for people to interview or better still, introductions? That’s great, Tram. Make sure you let us know how it goes. Mr. Nicholas Tart worte very well about the helndling the interview. Thank you very much, and waiting for your next article like that. Perhaps I could write a follow-up to this article about how to reach out to interviewees? Great article Nicholas! I have been wanting to interview some people in my industry but have been a bit anxious to approach them. I gained a lot of great insight from this article and will share it with my followers. Thanks so much! You’re welcome, Brian. What were you anxious about? Specifically, how did this article help? I was anxious about how to go about asking questions This article helped me learn which types of questions to ask and how I should go about the interview process. Cool Post!!! This is the first time I have read a post like this. I will use these techniques when I do an interview for my blog. This article came at the right time when; I am coaching interns on how to do great interviews for TV to be uploaded on youtube. I like #10 point where you(the interviewer) direct people to their site….some TV personalities do it wrong by letting the entrepreneur pitch his/her site; I totally disagree with it . The entrepreneur always feels uneasy. As always Income diary is my current hotspot because of its wealth of information. Keep up the good work. Yeah, I learned #10 when I was watching a Gary Vaynerchuk interview and the interviewee asked him if he’d like to direct people to a site. He said, “Nope, they’ll find me.” I’m glad we could help, Cheptiony. Great Article. I find that most people forget #9. I’m often frustrated by the interviewer asking stupid questions and just wait for the interviewee to be offered to talk on what he feels is interesting. Thanks for the insight! Haha… A bad interviewer can make Richard Branson seem like an imbecile. That’s my favorite question to ask. You have no idea how grateful I am for this post. I decided this morning that I would have to start conducting interviews… and a few hours later I get this in my inbox. I’m glad, Anthony. Let us know how they go. This is a really great article, as somebody who is total clueless when it comes to conducting an interview this really helped to clear the air. Thanks for carefully defining the steps for us. When listening to an interview you kinda know these things are happening but couldn’t really identify or put a name to them (like parroting). Now we should all be able to point them out. Just wanted to ask, how did you come up with these steps? If it was from a book could mention what it is in a reply? Hey Jason, all these tips are based on extreme observation and experience. Nick Scheidies and I wrote a book, What it Takes to Make More Money than Your Parents, where we interviewed Michael and 24 other successful young entrepreneurs. A lot of this advice came from that. Now we’re working on another exciting project for IncomeDiary and this advice is resurfacing. Wow. I’m preparing for my first audio interview so this article couldn’t have come at a better time. Im concerned ab sound quality. Im soo nervous! Haha, thank you for the article. Yeah, you definitely want a nice mic for recording audio. There’s no reason to be nervous. Talk to them like you would a friend. I have been working on some scripts for YouTube videos and this outline has made me rethink some of things I was going to do. I think your tips will make my work much more valuable. I am so glad I took the time to Google the subject and found this site. Fantastic information. This helps greatly. This is a really good post – have you got any hints and tips about how to arrange and interview in the first place? Great tips! Numbers five is terrific…many times interviewees have no idea what to expect and are pretty nervous. In addition to building rapport, walking them through what’s going to happen is a great way to ease tension. Parroting is also a nice strategy. And yes, sometimes at the end of the interview, simply by asking if there’s anything the interviewee would like to add, you get some of your best responses. I also found that if the interviewee receives a fairly brief list of questions before the interview – they are able to think about how they would answer the question in the best way. It does take some of the spontaneity out of it, but you will definitely get a more succinct, considered answer.